Mayweather vs Pacquiao Ringside Tickets for High-Rollers ONLY! on May 2, so tickets will only be available to customers that have a $250,000 line of credit with the casino. Published reports say the ticket prices will range from $1,000 to $4,000 each. That makes them more expensive than Super Bowl tickets, which have a face value of between $800 to $1,900. Ticket brokers are already listing tickets for sale, even though there aren’t any on the market yet. The cheapest seat now listed is $4,116, while floor seats are starting at $22,441. The median listing price is $9,218, according to ticket tracker SeatGeek. Tickets to the fight are so pricey since there’s a much more limited supply – the MGM Grand area holds just under 17,000 for a boxing match. The two fighters will be duking it out to split a prize of about $200 million, according estimates. Pacquiao has agreed to take home 40% of the purse, or about $80 million, while Mayweather would get almost $120 million. 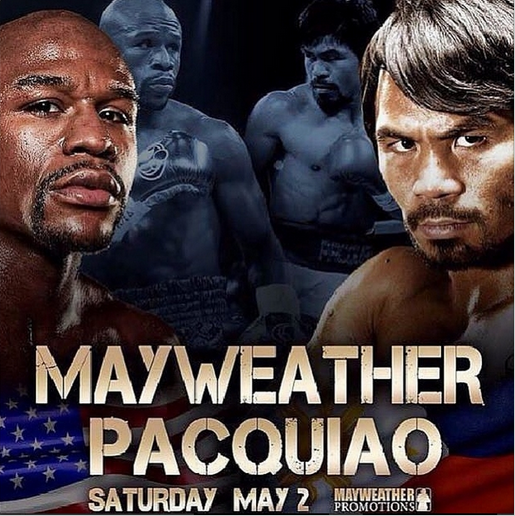 The event is likely to cost viewers about $95 a pop, according to a source, up from about $75 for recent fights. And it’s expected to be seen in three to four million households. The most-watched pay-per-view fight ever was a bout between Mayweather and Oscar De La Hoya in 2007, which was purchased by 2.5 million households.